This ride is designed for riders looking for the added challenges and enjoyment of riding overnight. This is a great way to get accustomed to what is expected for riders of the 400k and longer events, particularly 1200k events such as PBP, and to try out an evening start. 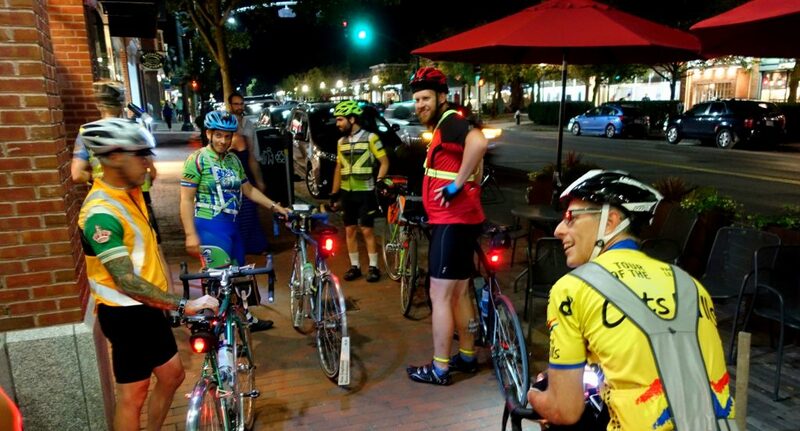 Your legs will be fresh and the course is forgiving (by NER standards, at least), designed for a fun and successful first night ride. It’s also enjoyable to be out on mostly deserted roads under a hopefully star filled night. (With good weather riders will see a 1st quarter moon which will set just after midnight.) This is also a great option for people with other obligations in the day on Saturday and Sunday. Riders will need to comply with NER’s and RUSA’s regulations requiring lighting and reflective safety gear. This means a reflective vest or sash, ankle bands, and steady front/rear lighting. While not required, a headlamp or other way to light your cue sheet and see to fix a flat is highly recommended. 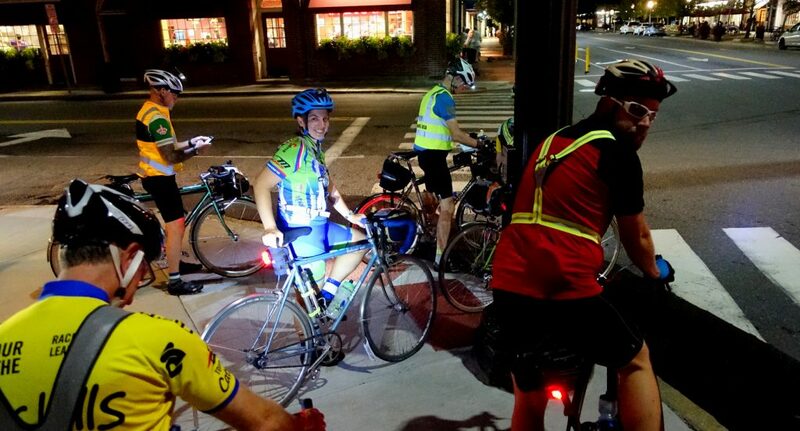 Reflective gear and lights are required until 6:30am and will be checked at the start. Sunset is 7:37pm. Sunrise is 5:58. Aug 18th is a full moon. Additionally, portions of the route will be slightly more urban than most NER rides, so bringing a lightweight cable lock is recommended if riders expect to stop in the first or last few miles of the ride. Parking tips will be added to this page before the ride, but riders are recommended to park on side-streets near Ride Studio Cafe. Do not park in the town lot or in metered spaces, but all side streets not posted as 2-hour parking or permit-only should be fine. The route starts in Lexington Center, at Ride Studio Cafe, only a few miles from the usual Hanscom start. From Lexington, the route starts by waking up your legs climbing Page Hill, and then threads northwards on side roads, avoiding traffic until it reaches Lowell. In Lowell, we dip into a few blocks of urban riding to cross the brand-new University Avenue bridge over the Merrimack river. Once across the water, we’re back into rural riding on Mammoth Road/NH-128, a winding, gently rolling road with great pavement. It was originally built as a major transportation artery (in 1837), but is now redundant with 3 and 93 running a few miles to either side, making it a great bike route. 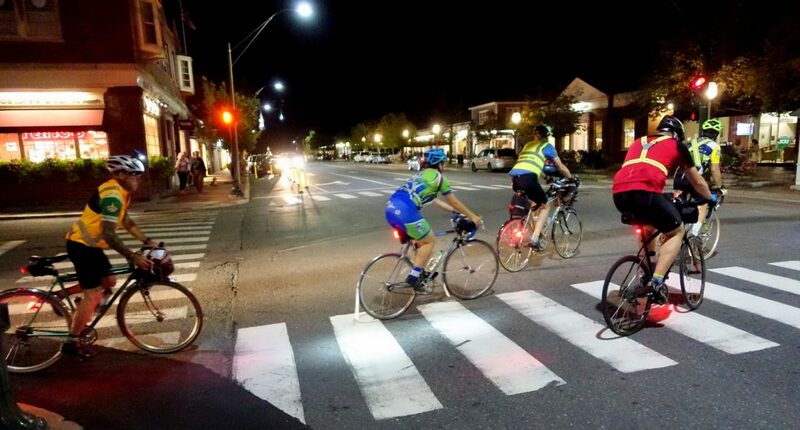 Riders will need to use caution crossing Route 111, as the traffic light may not detect bicycles, but immediately after doing so they will turn onto even quieter backroads, sneaking under I-93 and into the small town of Derry, New Hampshire. A Cumberland Farms offers a no-frills quick control stop (directions to nearby restrooms will be provided) before heading into the most remote section of the ride. 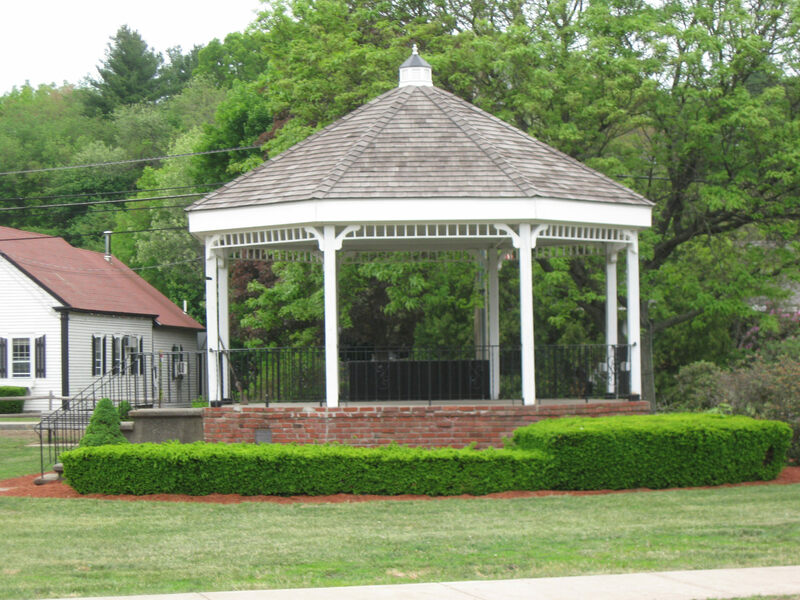 From Derry, the route follows NH-102, another small rural numbered road, gently climbing to the high point of the ride in Chester, a town center which is little more than a church and a cemetery. Soon after, it turns onto tiny Fremont road, which sports pavement of variable quality but impeccable quiet farm surroundings. After that, the route picks up Middle Road/NH-111A (another lightly-traveled scenic numbered road) to the town of Exeter, where it darts north on a slightly larger road to find an open Mobil station/convenience store for the northernmost control and halfway point. From Exeter the route turns south and towards the coast, arriving back in Massachusetts on the outskirts of Amesbury. In Amesbury it meets up with a few roads that may be familiar to riders of last years Somersworthit 200k. (The first Dunkin Donuts control on that route is not a control here, but is open at all hours and offers riders an additional option for food, caffeine, and/or restrooms.) 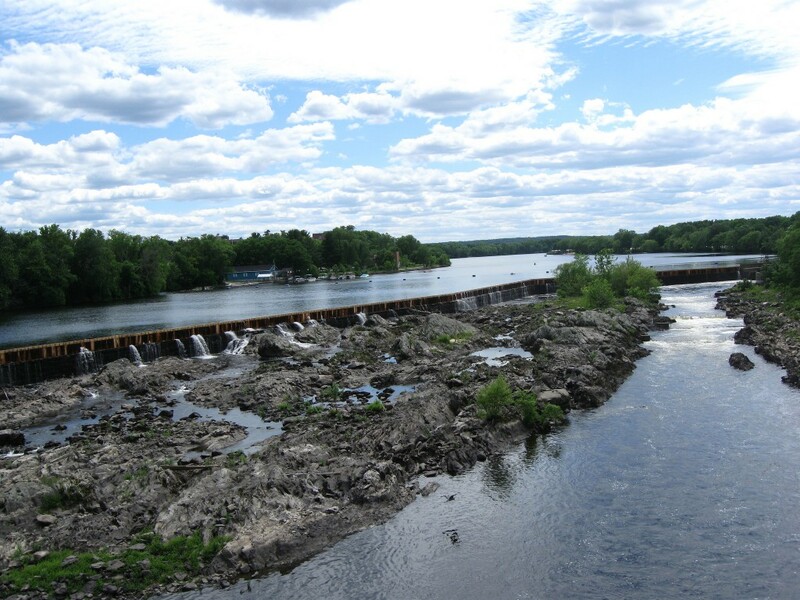 It then crosses the historic Chain Bridge over the Merrimack River and picks up scenic (and flat) MA-1A, cruising down the coast to Ipswich, where another Cumberland Farms hosts the final mid-ride control. 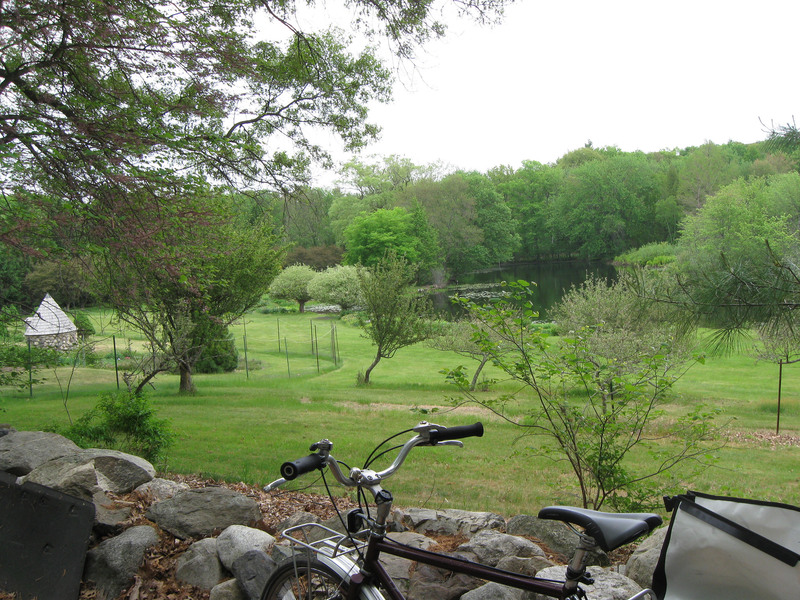 The route then leaves the coastal flats for gently rolling terrain, following the Ipswich River upstream through Middleton and North Reading. The route hops on and off on MA-62, hitting some new portions of an old NER standby state route. 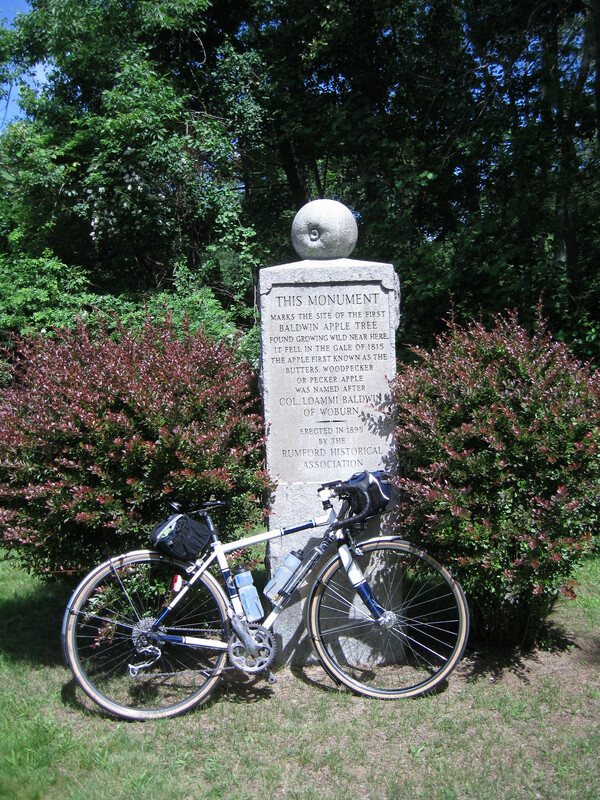 In Wilmington it leaves 62 for good and picks up one of your organizer’s favorite local roads — Winter/Chestnut Street, passing the Baldwin Apple monument (all but the fastest riders will have a fun photo opportunity in the morning light). After that, it’s a short stretch of slightly busier suburban roads (which should not be crowded on a Sunday morning) back into Lexington. Riders heading out in 2016. Photo by Rob Vandermark. Last minute cue sheet checks. Photo by Rob Vandermark. Riders about to leave RSC. Photo by Rob Vandermark. Have a ride report from this event? Please email the text or a link to the webmaster!